In April, we moved to a better, more live-able home. Everyone in my little family is much more comfortable because of it. 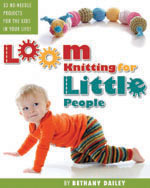 In May, the Loom Knitting Pattern Book was released…of which I got to be a small part of! This was definitely a change in the right direction! But, as the year has trudged on, I’ve become more and more dissatisfied with my job…due to changes further up the chain that none of us could do anything about. I’ve actually applied for a couple of promising positions elsewhere, only to be turned away because of my lack of “formal schooling” in that field. In one of the positions, it even went so far as to come down to myself and one other person; which only made it more disappointing in the end. It seems you can’t break into a new career field these days, no matter how great your work history, or how many wonderful things your Character References say about you. It’s that paper, guilded in gold & only received by extra schooling, that opens doors to new opportunites. I took the placement test yesterday, and passed the reading comprehension/ grammar/writing section with flying colors…just hand over the diploma now, thank you very much, lol! But the math…oh, my poor brain! I need to refresh my Algebra, as I couldn’t find any of the rules of equations that have been hidden away in that room for so long. I am scheduled to attend an Advising Fair in a couple of weeks, so we’ll see what they say about the math score. Maybe I won’t need any Algrebra anyway…a girl can always hope! This entry was posted in Blogging, Goals, Growing Up, Life, Loom Alongs, Loom Knitting, School. Bookmark the permalink. Congratulations Bethany! Going back to school is wonderful. Great example for your children too! You are going to rock at school!